U.S.social networking company Facebook has met with Estonian parliamentary parties and discussed possibilities to combat the spread of fake news in the run-up to the Estonian parliamentary election this spring. Estonian public broadcaster ERR cited how Estonia’s ruling Centre Party, anti-migration Conservative People’s Party of Estonia and liberal Reform Party commented on the meetings. Urmas Espenberg, the adviser of the Conservative People’s Party of Estonia recalled that the party’s meeting with Facebook representatives was a friendly and constructive one and added that Facebook representatives have also met with Latvian and Lithuanian politicians. Finally, Reform Party’s representative Kajar Kase, noted that the people from Facebook how they would begin doing things during the elections. «Their primary point was to provide their own contact information. (..) They said that they would cooperate with the [Estonian Supervisory Committee on Party Financing (ERJK)]. 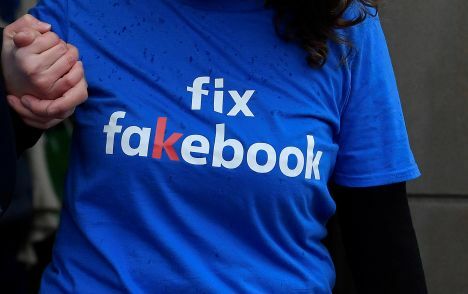 Their idea was that if we ourselves notice something here that doesn’t go along with Facebook’s things, then we can notify them of it,» the Reform Party spokesman told.